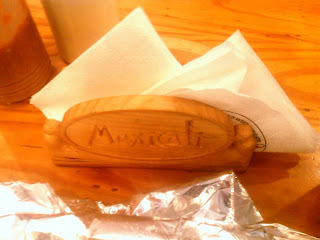 Mexicali is a small Mexican cuisine style restaurant in Glorietta. Jojo, Eugene and I had lunch here a couple of days ago. It serves all sorts of Mexican food like burritos, tacos, enchiladas, quesadillas, etc. with matching chilli, salsa and chips. The ambience is just okay. 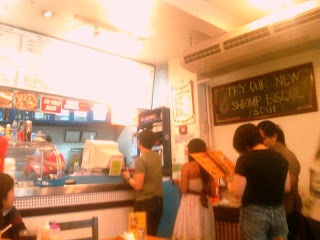 I'm not really sure what to expect if it is a fast food restaurant or a bit classy because the ambience is a bit queer. 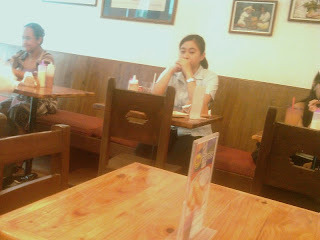 The place is small so it gets crowded during lunch hours. The food? I had steak burrito with chips & salsa on the side and a soda drink. 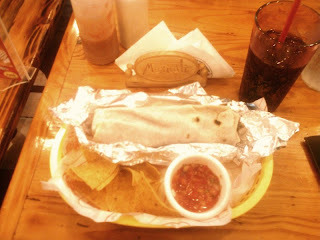 The burrito was good, yummy and the meat was juicy though I was a bit disappointed with the salsa (not so hot and chunky). Good thing we were given hot sauce. I have eaten hear a couple of times back and I previously had the beef burrito and quesadillas. 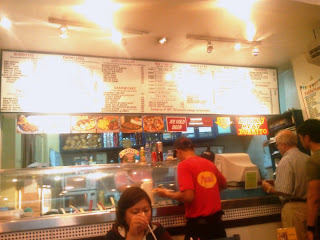 I find the burritos and quesadillas here good and tasty and a must try. Their taco is just so-so to my taste though.